Everybody has an activity that they enjoy doing for rest and relaxation or for excitement. Some people skydive or bungy jump to get a shot of adrenaline or a rush of emotion for excitement. Some people collect rare stamps or coins for relaxation. Some people garden, quilt, do crossword puzzles… Wikipedia has a list of hobbies a mile long! What ever your hobby is you are most likely good at it and getting better all the time. Your hobby is something you enjoy and receive pleasure from doing it. Whether you are in it for the rush or the relaxation odds are you have spent a fair bit of money and likely to spend more as you get more ‘into’ it. How Can I Make Money From My Hobby? Yes you can! It doesn’t matter if you are just starting out or if you are the supermaster, you have something that you can share about your hobby. Have you ever had an experience (say, like a hole-in-one if you’re a golfer) that made you relate it to your friends; as you are explaining the experience your friends become interested and want to try your hobby themselves? Turning your hobby into a successful, enjoyable business could be as easy as that. You take your experiences and write about them on a website. Making Money From My Hobby. You may have an obscure hobby and think that you are the only one that gets enjoyment from your hobby. You’re not! There are seven billion people in the world right now and in 2019 about four billion of them will be accessing the internet. It doesn’t matter how unique you think you are, there are others who are, or would be interested in learning more about your hobby. Think about how much money you have spent so far on what you need to partake in your hobby. Some hobbies, like golf or flying planes require a lot of money. Some, like crossword puzzling or sketching can be relatively inexpensive. It doesn’t matter, there are many ways to make money from your hobby. Every hobbiest wants the t-shirt or coffee mug at least. As you create content on your website simply by relating your experiences, your site will start to build authority. By this, I mean that the search engines (Google, Yahoo, Bing) begin to notice your site and send traffic to it. The more you create, the more traffic that will visit your site. The more traffic that visits your site translates directly to more people becoming involved with your hobby. So, back to how much money you have spent… This traffic will be spending that money too. You can build your website in such a manner that you will be able to capture some of that money that this new traffic will be spending. Since there are nearly four billion people (4,000,000,000) online, that could relate to an awful lot of money! Participate in your hobby, spend a few hours enjoying all that can be enjoyed in it. Take a few minutes and write about your experience. Can’t write? I don’t believe you and anyway there is (free) software available to make any illiterate sound like Shakespeare! OK, maybe not quite, but good enough to be able to articulate what you are feeling into believable words on electronic paper. It really is almost that simple and fun! It will take a bit of time, depending on your passion, enthusiasm and effort but you could be seeing your income starting within a few months. Most likely, you do not manufacture materials and equipment for your hobby. That is OK… you do not need to. 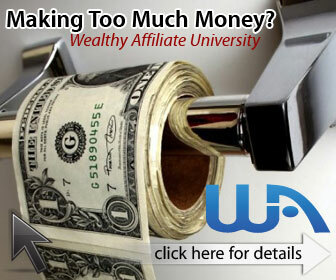 This is where affiliate marketing comes in. Affiliate marketing is simply aligning yourself with a manufacturer or retailer who does supply the things needed to participate in your hobby. Almost every manufacturer or retailer has an affiliate program. 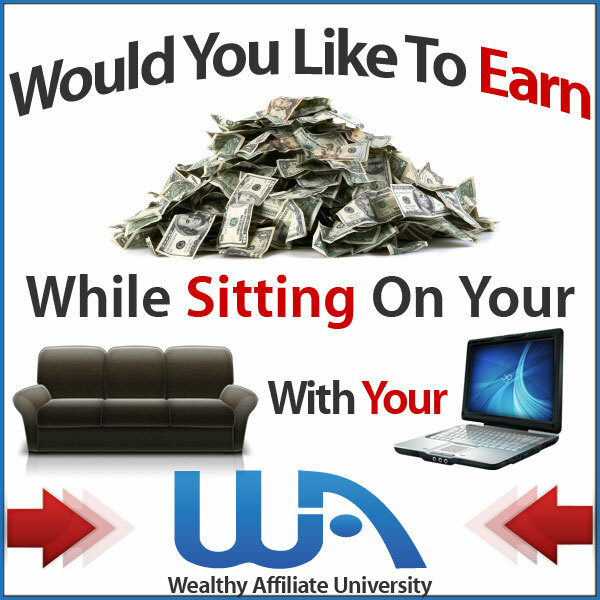 It is very easy to apply and sign up, you receive an affiliate link that is specific to you. You talk about an item related to your hobby on your site. Your traffic sees the item on your site and purchases through your link. The manufacturer (or retailer) sends them the item and sends you compensation for referring a sale! Even Walmart has an affiliate program. Let’s say you need a small garden shovel to participate in your hobby and Walmart has inexpensive ones. You apply to be a Walmart affiliate and advertise their shovels on your site, when a visitor to your site purchases the shovel, Walmart takes care of everything (even returns if its faulty) and sends you a commission. Now, the commission on a five dollar garden tool isn’t going to put your kids through college but there is no limit on what you could promote for your hobby (remember what you have purchased). Remember, there are about 4,000,000,000 people searching on line for something to do every day. Leave a comment below what your hobby is and what you have bought to partake, share your ideas, there are thousands! Can I make money from my hobby? Yes you can! You can make a lot of money from your hobby. You can still enjoy it as a hobby too, the business part is just a bonus. It is a simple transition that requires very little effort (compared to a traditional business). My name is Robb Murray and I can teach you every thing you need to know to take your passion from hobby to successful, legitimate business. Hundreds of thousands of people with absolutely no business experience are making money doing what brings them enjoyment. You can get in on it too, right here right now. Spend just a few hours a week and with my help, within a few months you could be getting paid through your own business. I can show you how to develop a (free or very low cost) professional website, show you where to get inexpensive hosting and how to get your site ranked by the search engines to drive massive amounts of traffic to your site. By this time next year you could be doing what you love to do and making a very nice income from your hobby. Let me know in the comments box that you want to make money from your hobby or learn more here! I will respond very quickly. As someone who has a lot of free time this seems like it would be easy to write relevant content about my interests and hobbies as I have a lot of time to fulfill my interests and hobbies. I have always loved to write and I enjoy picking people’s brains on my ideas but I’m having troubles motivating myself to actually sit down and concentrate on one idea. I have started my training with WA and am excited to get into full motion! I love Nike’s motto… Just Do It! Just sit down at your computer and start to write about your experience (relating to your hobby). You don’t need to stretch your muscles or warm up the ink. You don’t need to check your emails or Facebook. You don’t have to let the cat out or phone your bff. Just sit down and start to wright (Just Do It)! Before you know it, you will have a a few words, a few lines, paragraphs and then a whole, wonderful story… It doesn’t have to be perfect, just write it as if you were relating your experience to a friend. Look at some of the successful blogs on the internet – most are far from perfect. Continue your work at WA, it is the best training online! Just sit down and write, you will achieve success.